When your business grows, so do your needs and the number of people working on those needs. Upgrading your Cloud environment may be just the thing you need to get your business to the next level. This allows you to be more flexible and have a higher level of control over your website. Once you complete your purchase, we’ll contact you shortly to make sure you’re up and running as efficiently as possible. We'll even give you a tour to help you get to know your way around. 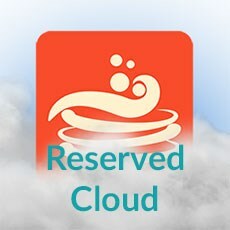 The Reserved Cloud plan is priced per store front. You can have an unlimited number of stores on your site, but must purchase additional Reserved Cloud instances for each additional storefront. * Upendo Ventures doesn't sell domains or SSL certificates. ** The Hotcakes Commerce software and hosting environment are both provided in a way that allows for the site to pass PCI certification testing. *** Additional storefronts require additional Reserved Cloud plan fees.